Sigma EAM is an IT platform for the advanced management of assets of the electric power carriers, incorporating the Smart Grid and IoT philosophies. Optimized management of assets and resources of maintenance for the reduction of operational costs and maximization of outcomes. Sigma EAM offers features that meet all the needs of the assets management, maintenance engineering, and performance of maintenance of electric power carriers. Watch the video below or click here for more details. Allying the background of Treetech team with its pioneerism in the development of Intelligent Sensors and Online Monitoring, Diagnosis, and Prognostics software of the condition of high voltage equipment, the EAM was developed already incorporating the Smart Grid and IoT philosophies. This allows for a natural integration of the online monitoring sensors and systems with the routines of maintenance engineering and performance of field activities. Click here for more details. 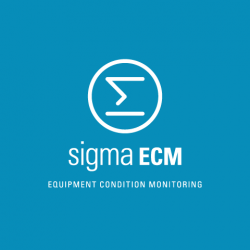 Sigma EAM definitively consolidates the migration procedure of Preventive maintenance to Predictive, based on the actual condition of the assets, instead of simple cycles of time or of counters. This is possible due to the native integration of the EAM to the online monitoring systems, especially Treetech’s Sigma ECM, which provides diagnosis and prognostics of the condition of the assets from engineering algorithms and data of sensors obtained in real time. Click here for more details. Sigma EAM is based on the entire know-how of Treetech in engineering of maintenance and reliability, specification, design, construction, testing, commissioning, operation, and online monitoring of assets.  Thus, the EAM was specially designed to the needs of the electric sector, aiming at simultaneously meeting the needs of the specialized technical management and maximization of results, in perfect synergy with the activity of the power carriers, not being a generic solution, or adapted from other segments. 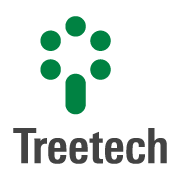 For over 25 years Treetech is a pioneer in the development Intelligent Sensors and GTD asset Online Monitoring, providing innovative, prize-winner solutions internationally and with several patents in Brazil and worldwide, seeking to keep the safety and continuity of the electric system, with more than 85,000 equipment units and 400 systems operating in 50 countries. 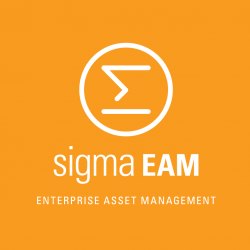 With the Sigma EAM, the expertise of more than 35 years of technical and managerial performance of this multidisciplinary team in carriers and manufacturers of assets is now available to the Asset Management. Click here for more details. Sigma EAM has a modular structure that is easily adjustable to the processes and flows of work of user companies, which simplify its initial implementation process. 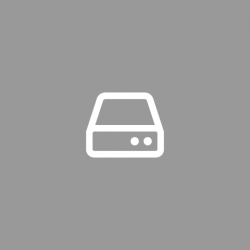 Its interface, 100% web-based, allows to simultaneously open several screens in parallel tabs and exempts the installation of specific software in the user computers. The expertise of simple, intuitive, and efficient use is complemented by the Mobile application, which allows the offline usage and posterior synchronization. Click here for more details. The philosophy of open architecture is a premise in all Treetech solutions, of sensors and online monitoring system to Sigma EAM. Thus, the EAM can be integrated with several types of systems, especially ERP’s, ONS systems, such as SAM (Maintenance Follow-up System), and Scada systems. This open architecture also allows the integration of proprietary applications of the user with full safety through webservices, guaranteeing the integrity of the EAM’ business rules. Click here for more details. 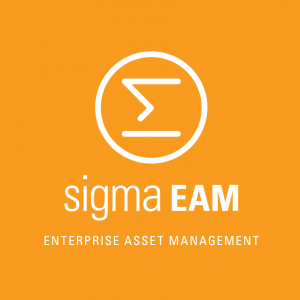 Sigma EAM solves this issue consistently by acting as a single source of data, gathering all key information in the same platform, which allows intelligently and efficiently automatizing the main procedures of maintenance engineering and management of assets, maximizing corporate outcomes. The natural complexity of the activities of generation, transmission and distribution of power, allied to the continuous pressures for greater reliability, cost reduction and better results makes it fundamental to resort to an intelligent system for asset management. This need becomes even more evident in the scenario of assets near the end of their useful life and loss of knowledge of the experts due to retirements or team reductions. In this context, Sigma EAM is a complete tool, with all features necessary for an intelligent and optimized management of assets and the planning and control of performance of maintenances and use of material and human resources. Planning of predictive maintenance plans controlled by the online monitoring system (Sigma ECM), o Preventive based on time and/or in the development of counters. Hierarchical maintenance planning with change of activities after certain a number of performances. Template plans for eventual activities such as commissioning, corrective actions, and others. Tabular and chart reports freely configurable by users, allowing crossing correlated data existing in the EAM data base to generate KPI (Key Performance Indicators) whether financial, managerial or technical. Programming and indication of maintenance performed. Records of planning and resource usage – manpower, vehicles, materials, special equipment, and third-party services. MPs, NTs or Adjustment Documents can be generated or generated separately. Reports for maintenance engineering interface with the pre-operation intervention to generate Intervention Requests. Tablet or smartphone application fulfilling all service needs in field, increasing the productivity and eliminating paper, indication of SO’s in batch. Information on service performance, test forms and adjustment orders at your fingertips, as well as technical data of assets and facilities, manuals, drawings, instructions, pictures, etc. Report of defects with pictures. Service request or record of non-compliance from occurrences and pre-registered causes, attaching pictures or documents. Automatic notification of the section in charge and starting point for generating the corrective SO. Data source for defects analysis and control and management follow-up of corrective maintenance. Automatic Interface of EAM with SAM-ONS, allowing the natural compatibility with planning and performance processes of the carrier maintenance with ANEEL’s Minimum Maintenance Requirements (RMM), indicating any need for adjustment and allowing easy management monitoring of regulation service. Automatic schedule of the Service Order performance in respect to the resource availability on the scheduled dates – manpower, vehicles, special equipment, materials and third-party services – and priority level of each SO, suggesting alternative dates as needed. Configuration of Responsibility Actions of Knowledge, Analysis, Release or Authorization in key points of processes flow, allowing greater control of coordinators and managers on the critical actions performed on the system. Automatic notifications of actions required for those responsible and return to requesting party. Tests results record based on freely configurable forms adjusted to any and all test type or inspection, allowing the centralization of information and elimination of papers, spreadsheets or other disperse means of record. Periodical and compulsory control of performance by attaching MPs or SO’s. Active records and installations in line with ANEEL’s Assets Control Manual, for easy unitization of assets and record updating. Resources enrollment for performance of services, featured to ensure the proper use of labor, vehicles, special equipment, material and services from third parties. Organizational structures enrollments: carriers, sections, teams, service providers, suppliers, etc., integrated to ERP system enrollments, as applicable. Records of the protection studies and adjusting orders generated thereby with review control ensuring the history maintenance. Record of the intelligent sensors settings installed in large quantities with the adoption of Smart Grids and IoT Control of adjustment implementation by attaching the SO’s. Interface for easy query and update the unit costs of resources of manpower, vehicles, special equipment, materials and third-party services, allowing the Reports (KPI) module to provide up-to-date reliable financial reports. 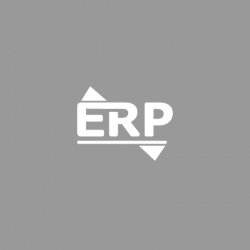 Integrated to ERP system costs modules, as applicable. Interface to increase the productivity in the performance of the maintenance service, also available in Mobile application. It allows the daily record of the activities performed regardless if they were previously scheduled and the indication in batch of both material and human resources used in the Service Orders. Filling in batches the records during initial implementation of EAM and in large expansions through the generation of MS Excel® spreadsheets automatically according to the hierarchy between the records. Automatic checking of data according to the EAM business rules indicating directly the necessary adjustments into spreadsheets.